Tempt your friends with the deliciously designed Retro Candy Invitation. 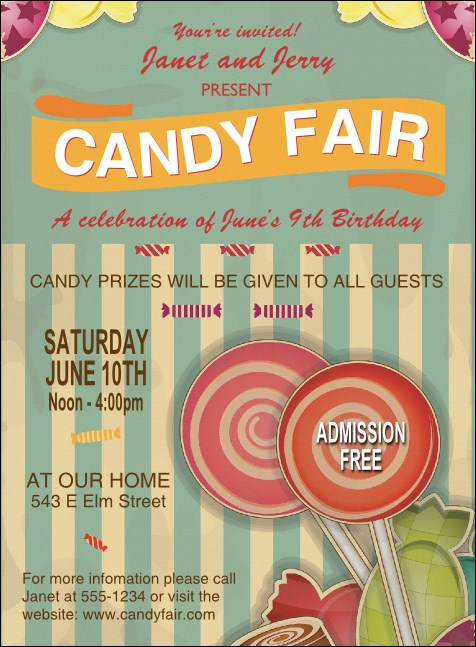 This sugary template features pink, yellow, and green treats, with an orange banner announcing your event. Pair with coordinating tickets, flyers, and VIP passes in a Matching Event Kit! RSVP to event success with the right invitation from TicketPrinting.com.